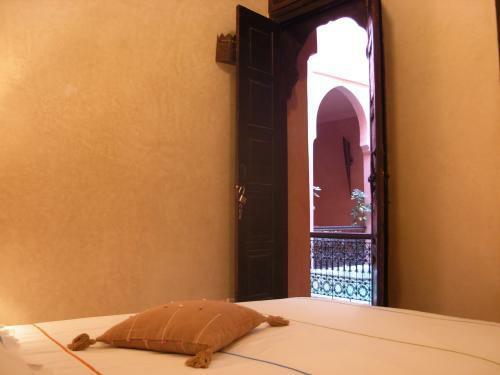 ﻿ Riad Aderbaz Marrakech. JIMAT di Agoda.com! Terletak dengan baiknya di pusat Madinah, dekat dengan Royal Palace selamat, rumah ini menawarkan kepesonaan dan keselesaan yang hanya 10-minit dari dataran Square Jemaa El FNA. Diubah suai speneuhnya pada tahun 2007 dan mudah diakses, Riad Aderbaz menawarkan penginapan yang tinggal santai dan eksotik. Rumah ini dibina sekitar teres dengan kolam renang, sesuai untuk menyejukkan diri dari waktu-wakt panas di Maghribi. Satu air pancut dinding menguasai kolam renang kecil yang dikelilingi dengan pemegang tangga. Dua lounge antara yang satu dibuka dan satu lainnya dengan cerobong asap menyambut tuan rumah untuk sarapan. Di atas teres, bunga dan kerusi geladak melengkapkan set. Arranged for the be collected from the airport, the hotel charged 150 dirhram. When we checked in, the room appeared to be clean, however there was a terrible, almost unbearble smell from the bathroom. We didn't end up staying in our room all that much during our 4 night stay, which was a relief. Staff are very helpful and kind. One of the staff even talked us through the map of the city and gave helpful hints where to exchange currency without commission and where the best place to try local cuisine. His advice was so valuable. Despite this, the bathroom really needs attention and maintenance. 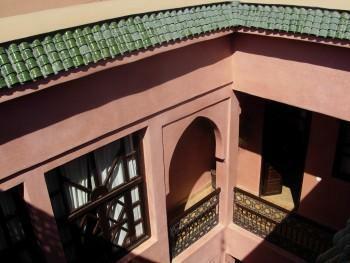 Really enjoyed my stay at Riad Aderbaz and the staff were very friendly. It's a great place to relax and the terrace/rooftop room are gorgeous. It was nice, but our room had no window. Lovely place, nice staff and fantastic breakfast. About 10min walk to square. Amabilidad del personal, cerca del aeropuerto, zona tranquila. Tuvimos un problema la primera noche, ya que al hacer la reserva por internet por temas logísticos y de conexion no se efctuo bien y la primera noche no teniamos sitio en el mismo Riad, peró nos solucionaron el problema y nos alojaron por el mismo precio a otro Riad magnífico, con un excelente personal. gentillesse des propriétaires ,jolies chambres. 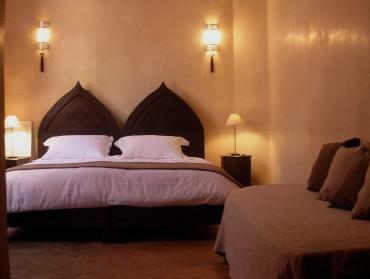 nous avons passé une nuit agréable dans ce riad situé près de la place jemaa el fna.les chambres sont décorées avec goût.possibilité d'avoir un lit parapluie pour bébé.il y a une petite piscine pour se baigner l'été .les propriétaires sont charmants.